Fiona is an island-life loving Dive Master and full-time travel writer. 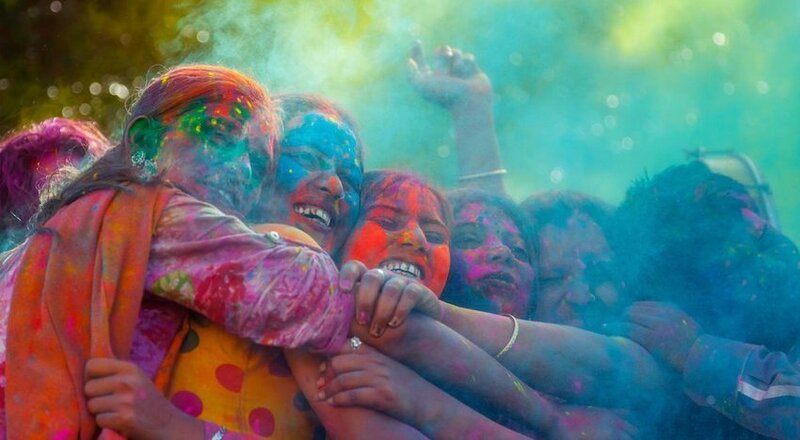 On the road for 7 years straight, she’s lived, worked, and traveled through over two dozen countries. The power and beauty of waterfalls have inspired travelers for centuries. The most stunning of the bunch aren't necessarily the biggest or the ones that boast the largest volume of water flow. Sometimes it’s the surroundings, graceful composition or incredible location that makes them worthy of a visit. The Iguazu Falls are nothing short of breathtaking. The tremendous collection of 275 cascades range from 60 to 82 meters tall, and they spread over two miles, making this the biggest waterfall system in the world. The 700-meter long Devil’s Throat is undoubtedly the most spectacular sight, funneling the Iguazu River’s water down its 82-meter drop. 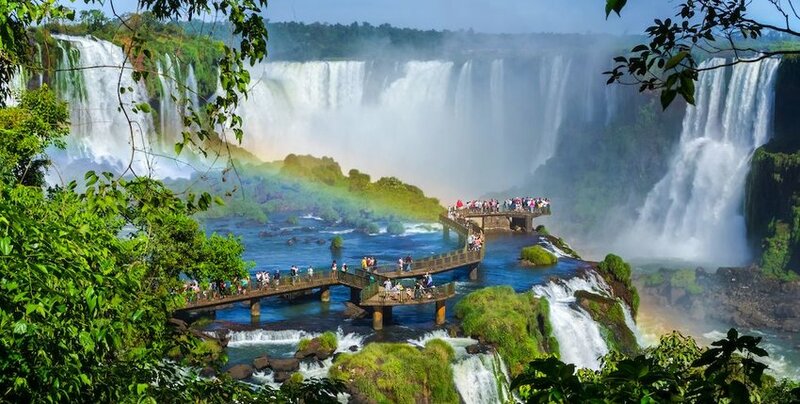 Iguazu Falls is protected by National Parks in both Argentina and Brazil. Arrange a visa for both countries beforehand so you can see the falls from different perspectives. 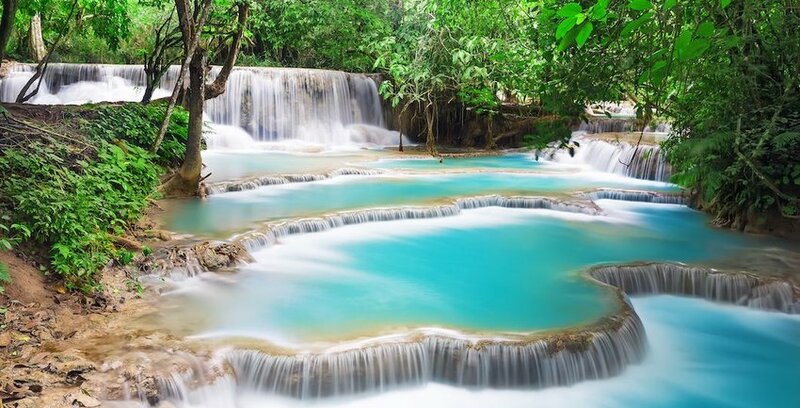 Nestled in the pristine jungle on the outskirts of Luang Prabang, Kuang Si Falls wins major points for location. It may not be the biggest in the world, but it made its way onto the list courtesy of its tranquil vibe and stunning cobalt-blue water. Kuang Si Falls is composed of three distinct tiers that break off into multiple cascades and snake their way into several big rock pools. The welcoming water begs visitors to take a dip on a hot day. It’s chilly, but we bet that rope swing will encourage you to jump in. Follow the dirt path, letting the sound of gushing water guide you to the waterfalls' tallest point. 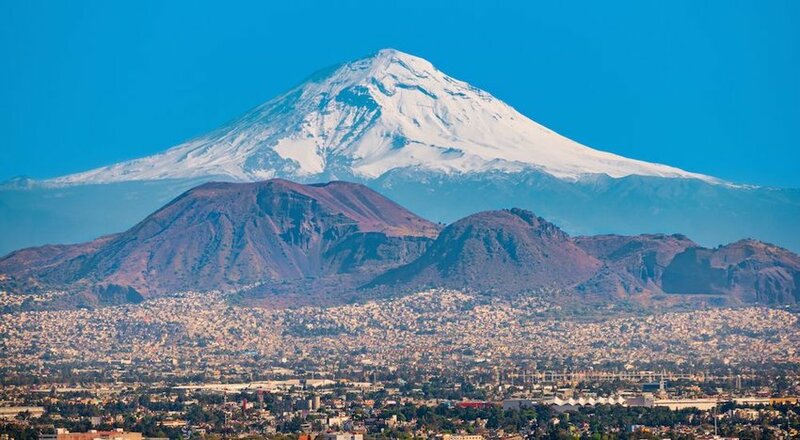 The 50-foot crevasse gushes water that flows from an unseen origin, one hidden in the dense green canopy above. The curious will venture a bit farther and embark on the steep, 30-minute climb to reach the top of the falls. Your reward is viewing the source—a private oasis with shallow pools tucked in a jungle. A visit to this park should be a priority for any nature or outdoor lover. 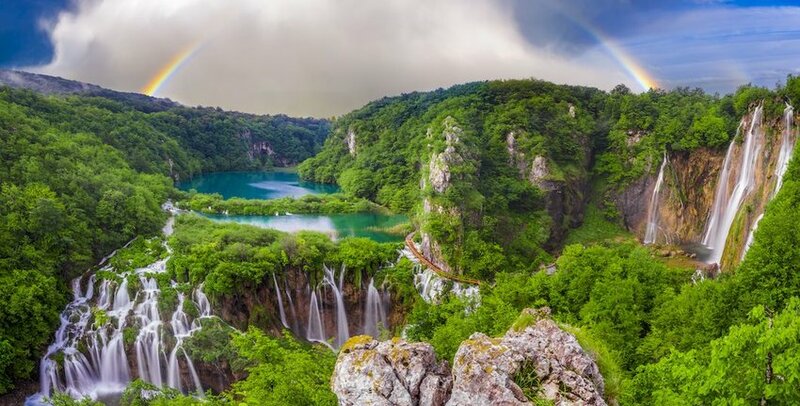 The Plitvice National Park, bordering Bosnia and Herzegovina, boasts 16 spectacular cascading lakes. 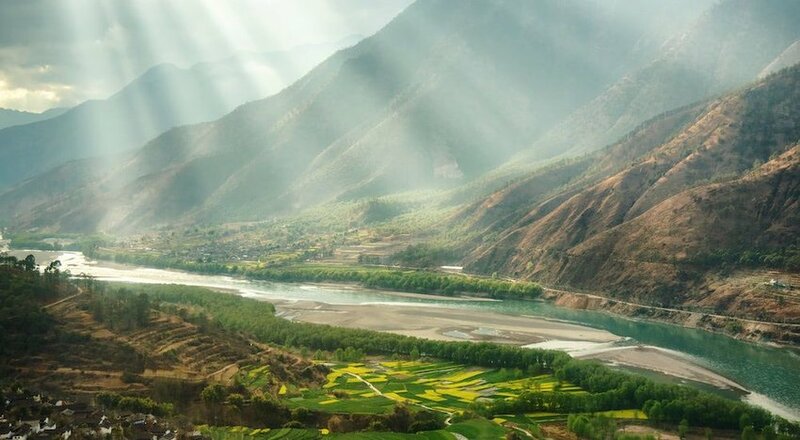 Each body of water flows into the next as the sequence of lakes follows the water flow. The spilling over of these lakes creates some 90 waterfalls throughout the park. A vista more stunning than the last awaits around each turn, making it difficult to pinpoint a highlight. However, you have to see the giant, haphazard spillover of Veliki Slap (aka the Big Waterfall) and complete the trek to the viewpoint above. Insider Tip: Break up your tour of this sprawling park into two days. Spend one day exploring the Upper Lakes section and the second exploring the Lower Lakes section. Both areas are walkable and it’s advised to take your time so you don’t miss an inch of its splendor. At 739 meters, this plunging-tiered waterfall is the highest in California. Located in Yosemite National Park, Yosemite Falls is one of its greatest attractions. The Upper Yosemite Falls spouts water out of a stoic cliff face, letting it tuble down a staggering 440 meters. 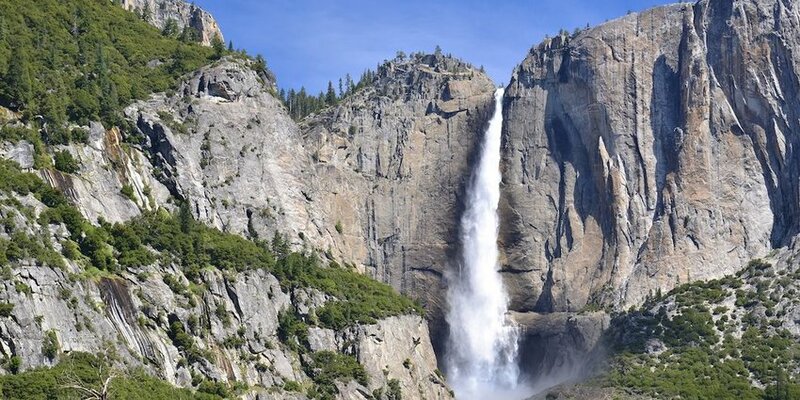 This section alone makes Yosemite Falls one of the tallest waterfalls in the U.S. The middle section drops another several hundred meters via a series of cascades. Finally, the Lower Yosemite Falls dives 90 meters into the base pool. You can reach the top of the falls with a strenuous hike. However, there are plenty of excellent viewpoints throughout the length of Yosemite Valley. Insider Tip: Visit in late spring when the water flow is at its peak. 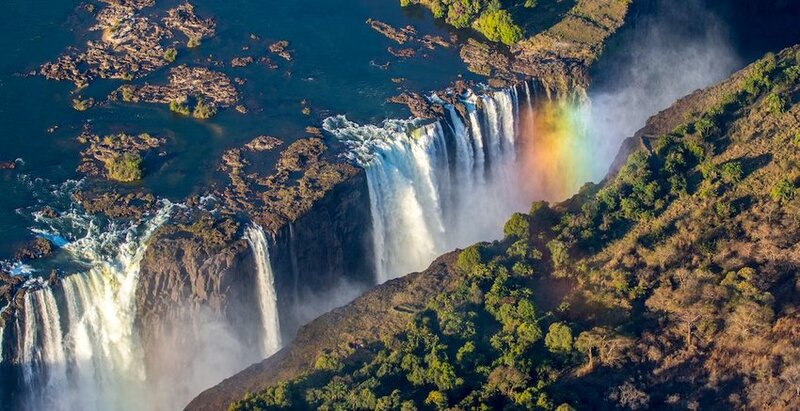 In the 1800s, the local Kololo tribe named this mighty flow of water Mosi-oa-Tunya, which means “The Smoke That Thunders.” This seems like the most fitting name for Victoria Falls, a cosmically powerfully waterfall fed by the Zambezi River, with clouds of spray that can be seen from miles away. Victoria Falls is commonly referred to as the largest waterfall in the world in terms of combined width and height. It stretches nearly 2 kilometers along the Zambia-Zimbabwe border before plunging into a gorge more than 100 meters below. Facing the falls is another cliff of the same height, creating a fatally enticing entrance to Middle Earth. Multiple viewing platforms create perfect vantage points for visitors and dramatic photo opportunities. Getting up close and personal with Victoria promises to be a spiritual experience. Insider Tip: Victoria Falls can be viewed from both Zambia and Zimbabwe. We recommend posting up in the Zambian town of Livingston for cheaper accommodation, cheaper National Park entrance and multiple viewing platforms.